I am in the Beejeebers Bee this year and we were asked to make a wonky tree, a wonky house, or a wonky log cabin block. 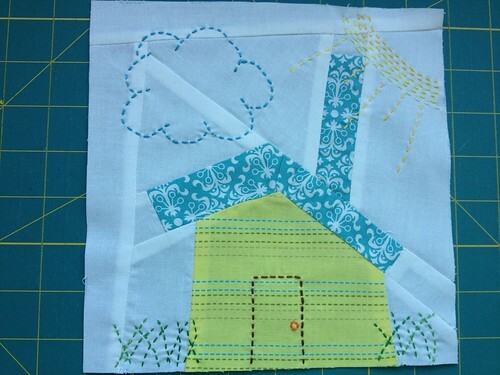 Since I did a wonky tree for the Stash Bee this month and a wonky log cabin for Sew Bee Joyful in November, I decided to push my limits and go for the house. Here they are together, I hope Jamie likes them! I also decided to purchase my birthday present to myself early. 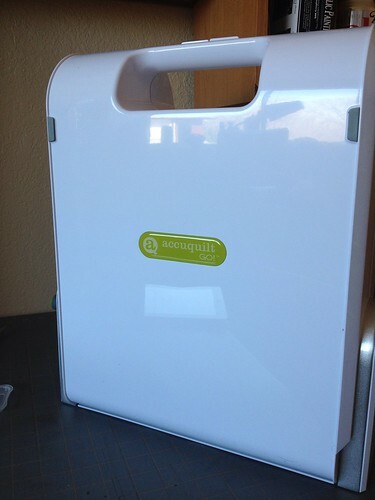 Joann's had the Accuquilt Go! Cutter on sale for $199 and I just got a gift certificate for $40 from a family friend so with all of that + tax it came to $176. The regular price is $349 so I think I go a pretty good deal!! I have cut just a few pieces on it but I am really waiting to do Drunkard's path and Isosceles Triangles on this baby! (P.S. it's not a baby, I got the big mama version!) More to come on this adventure soon! 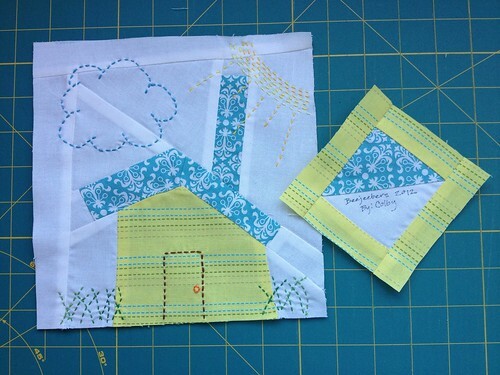 Linking up with Melissa at Happy Quilting for T.N.T. Thursdays! Love the detail you added. So cute!!!! Great job on your wonky house! Very cute! Love your new toy too, enjoy! You are too modest! Your house is fantastic. Paper piecing looks like one of your fortes! That's amazing how much experience you've gained from doing the bees. 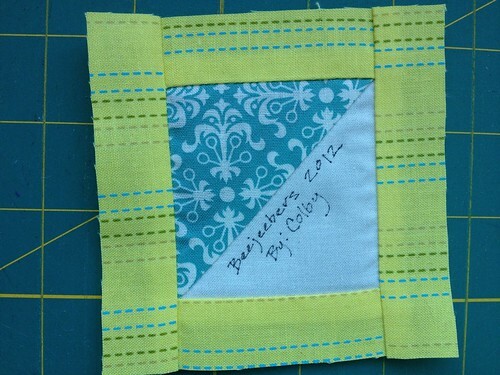 I think you block looks beautiful and I especially like all the stitching you did. Way to go! How fun! I've never done wonky houses, either, but they look fun. Might have to try that myself, soon, too! Nice work, and I love the hand details!